Ramon Soler Kuatro Plus tub filler is a tub filler that is great for a contemporary style bathroom. Made in and imported from Italy by Ramon Soler, this wall mount tub filler is a high-quality option for your upscale bath. 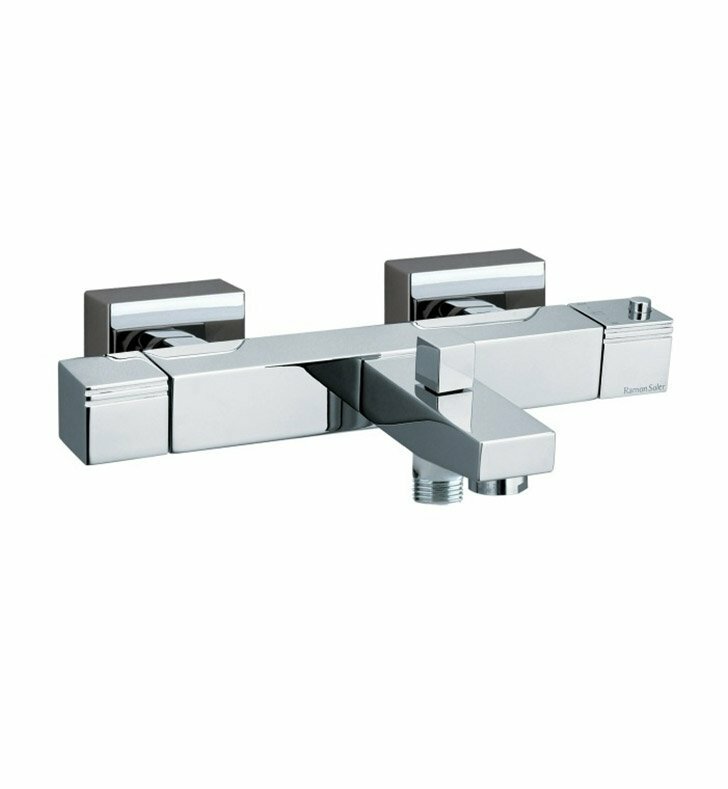 This high quality tub filler is made of extremely high quality brass and finished in chrome, white and chrome or black and chrome.